Fish Pedicure has recently come to my attention via my very good friend Jen. She had it done once and asked me and other friends if we were interested in having one. 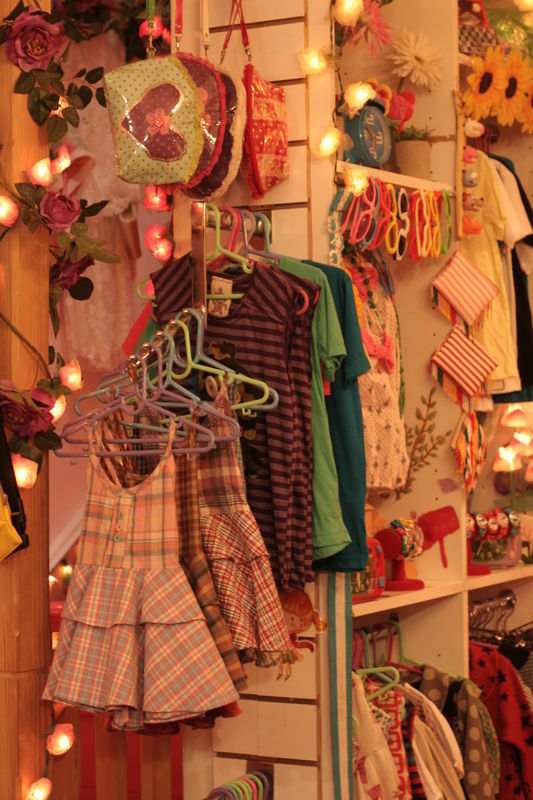 Curious as we are, we said yes straight away, and last tuesday went off to Camden Town. One of the stalls was offering the pedicure. 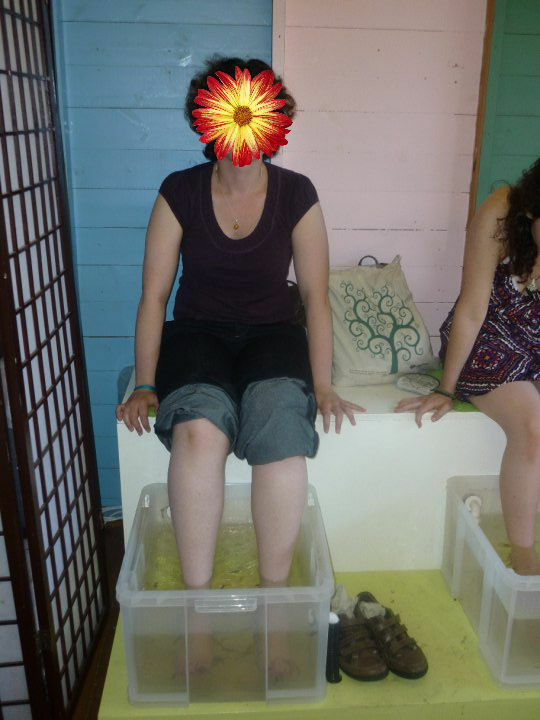 I must say that i was a bit nervous at first, my feet being so sensitive and sore because of new shoes etc.. etc... and the idea of fish nibbling on my feet made me feel uncomfortable. So what is it exactly ? well you put your feet into a tank of warmish water and lots of little fishes come on them and eat the dead skin, giving you a nice pedicure and a unique experience at the same time. After 10 seconds in the tank, my fear left me and I really really enjoyed myself!!! The fishes are called "Gara Ruffa" or Fish doctor, and as no seaweed of any sort can live into that kind of small tank, they just eat all your dead skin. I never really had a pedicure before and I really really loved it, it feels like mini vibrations on your feet, it's absolutely painless, and you go out with soft, silky feet. The good thing is that they don't eat all the dead skin, so you can walk easily and freely afterwards. It's really a fun experience to do with friends and also a very efficient treatment for your feet. the guy from the stall said a shop spa will open soon in camden, I'll let you know when it's the case. There is a spa in Paris already doing it, and i'm not aware of any other area in london doing it. If you know other areas in London where it can be found, feel free to leave a comment here, and i'll include it in this post. That is awesome! Can't wait to try it out with you...must do it soon!! Such a reasonable price too, AND I've never had a pedicure, so I think this may be the only type I have as the 'normal' way doesn't look nearly as appealing.